We are fully insured & Government & Police approved. Established company with over 25 years direct experience, Wednesbury Lock and Safe provide a comprehensive range of locksmith and security services, ensuring the safety and security of your property. Our qualified engineers provide a range of specialist locksmith and security services for all types of emergencies, whether you are locked out of your home or business or are looking to upgrade, repair or replace existing window or door locks. Wednesbury Lock and Safe after care service is second to none. All our advice is free, personal and on a one to one basis and unlike large chain DIY stores, we can offer professional and individual security solutions and also ensure that any lock fitted to both commercial or domestic properties are INSURANCE APPROVED for that customer's particular insurance company. Contact Us Now to Enquire! We are a local company based in Stone Cross, West Bromwich who take great pride in providing a prompt, reliable and professional service to all customers through both our Locksmith Service and Retail Premises. With our reputation speaking for itself, we have attained many contracts far and wide from both small and national chain companies alike, and have delivered fast emergency responses, time and time again to both domestic and commercial customers making us an unrivalled choice for all your security requirements. Building upon the 1st class reputation that we have attained over the years, our aim moving forward is to become the number one choice for all security requirements in the domestic and commercial sectors throughout the West Midlands and beyond. Contact Us Now for Advice! Wednesbury Lock and Safe offer a 24 / 7 Emergency Locksmith Service for both Domestic and Commercial customers alike. The locksmiths that we use are fully trained and qualified and are on standby 24 hours day, 7 days a week providing a fast and effective emergency service, making the experience as stress free as possible for you the customer. We supply and fit locks to meet the British Standard BS 3621 as required by your household contents insurance supplier. For further details on what locks your home should have, in order to meet your current insurance specifications, please contact us to arrange a free security survey of your property. Ask about our Locksmith Service Now! For services required but not above please give us a call now on 0121 5567771 to discuss your requirements further, or click the button to contact us. Our retail premises in Stone Cross, West Bromwich stock an extensive range of locks, security and hardware products and items not held in stock can be obtained quickly. We also stock British Standard Insurance locks to BS 3621 and also supply & fit 1 to 3 Star Anti Snap Cylinders providing you with the confidence and assurance that the products you purchase are manufactured to the highest standard. Having over 25 years direct experience within the lock business, our staff are more than fully trained to be able to offer the most experienced and professional advice you could need for both our Domestic and Commercial customers alike. In addition, we also offer complete key cutting service for pretty much all types of keys including mortice locks, Yale type keys, car keys and UPVC locks.This is done on the premises by our in-house locksmiths at our shop in Stone Cross, West Bromwich. We stock an excellent range of security equipment and are on hand to give you any advice on security concerns or selecting the correct product for your needs. 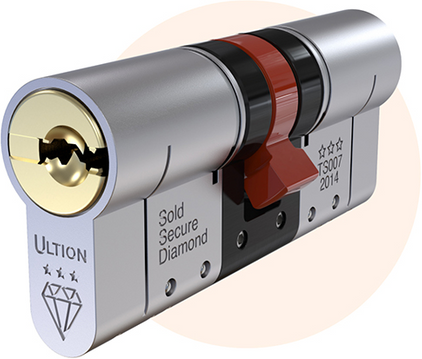 The ULTION-LOCK Security Range comprises of a variety of high performance products, designed for most applications in your home or office. After an attempted break in I was left in a bit of a state, the team was polite, informative and speedy. I was given advice on securing my property in the future and I would certainly recommend this type of service. Fantastic service very quick reasonable price very pleasant staff what more can you ask for.